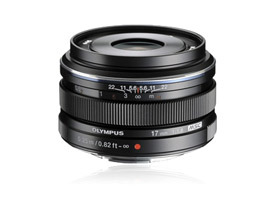 Olympus M.ZUIKO DIGITAL 17mm f1.8 lens review:high speed and high image quality? As with the firm’s 75mm and 12 mm primes, this new high-speed 17mm f1.8 (35mm equivalent) for MFT cameras features a sturdy metal outer and a promising sounding high-grade optical design. Although weighing just 120g, it has 9 elements in 6 groups with one double-sided aspherical lens, one Super HR (high refractive index) element and two further elements with aspherical surfaces. Minimum focus distance is a fairly-typical 0.25m, but as well as a high-speed AF motor, the lens offers what the firm calls a ‘snapshot focus mechanism’ – a push/pull manual focus collar with a distance markings and a depth of field scale. 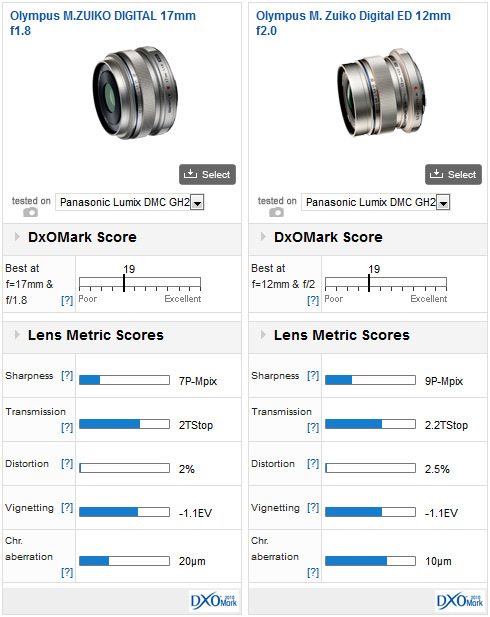 We’ve assessed the image quality using a Panasonic Lumix DMC GH-2 for this review, though we intend to make the measurement data available for the OMD- EM-5 and the GH-3 in the near future. 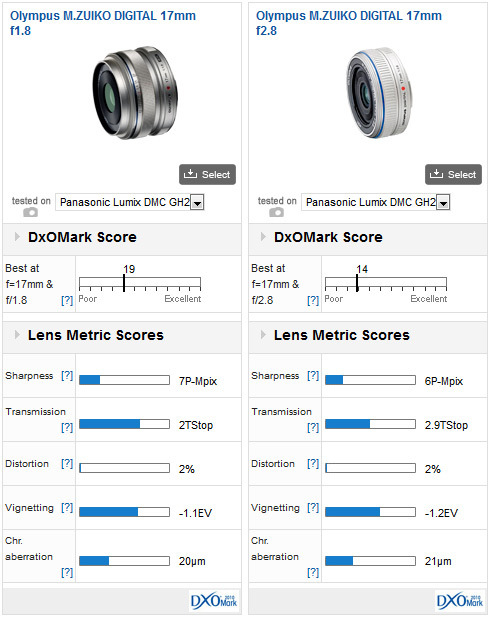 With a DxOMark score of 19 points mounted on the Panasonic GH-2, the new 17mm shares a similar level of image quality to the firm’s ED-equipped 12mm f/2.0 (24mm equivalent). If we look more closely at how that benchmark was achieved we can see that the 17mm can’t match the wider lens for sharpness, especially in the centre (from f/2 to f/5.6), which is somewhat disappointing. Distortion isn’t as well controlled as it might be and, as with the 12mm, is noticeable in certain images. Perhaps the most significant shortcoming is the very high levels of chromatic aberration, which is apparent at all apertures in the outer field. Compared with the firm’s tiny 17mm f/2.8, the new lens promises much higher imaging performance although with just a cursory glance at the individual scores it may not be appear so. It’s not only due to the superior sharpness across the field but that the new lens achieves similar scores while being significantly faster (and therefore more difficult to correct). If the new lens only had lower chromatic aberration, it would achieve a much higher score overall. In some respects, the new image quality of the M. Zuiko Digital 17mm f/1.8 is not up to scratch, as not only does it have quite high levels of chromatic aberration and distortion but it also fails to impress in outright resolution and acutance. On the plus side, sharpness is much more consistent across the field than the existing 17mm f/2.8 model and if it had used ED glass in the construction it would have been considerably more expensive than the $500 retailers are asking for it. Considering the build, fast maximum aperture and overall imaging characteristics, the 17mm f/1.8 remains an attractive option for the enthusiast.